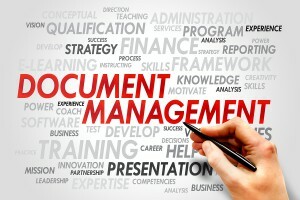 Document management is how your organization stores, manages, and tracks its electronic documents. 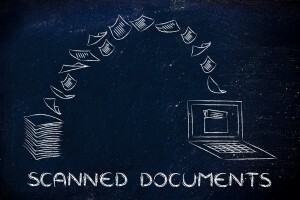 Often referred to as a Document Management System (DMS), it is the use of computer software to store, manage and track electronic documents and images captured though the use of a document scanner. While you may be tempted to scan your receipts and toss the paper originals, don’t do it. You may need them as proof for a tax audit. Keep all bills, invoices, receipts and canceled checks related to deductible expenses for three years after filing tax forms. At that point, shred them to prevent identify theft. Get Free Quotes on Custom Document Management Solutions Today! Record Nations can help you find a local provider that offers free quotes on a customized document management solution for your business. Our network of document management professionals offer any kind of service for any size company, including document scanning and conversion, records storage, and document management systems. We have locations all across the United States to serve you- to get started, fill out the form to the right, or give us a call at (866) 385-3706.